As Valentine’s day approaches and Eric and I look forward to having the babies we have been talking about the sorts of things we will do. 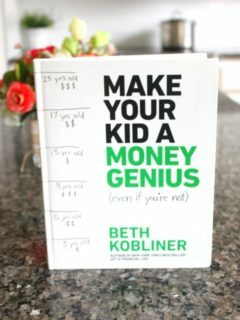 The experiences we will introduce them both to by way of education and fun and the types of DIY crafts we will share with them to inspire creativity is a big topic of conversation. 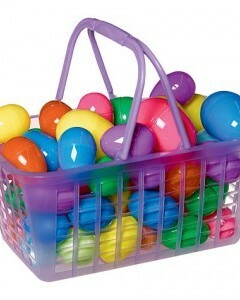 One of the things I look forward to doing with our little ones is holiday projects that are really easy and fun to do. 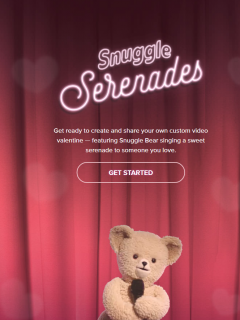 My favorite Valentine’s Day craft idea is one I hope to share with them when they are a little older. 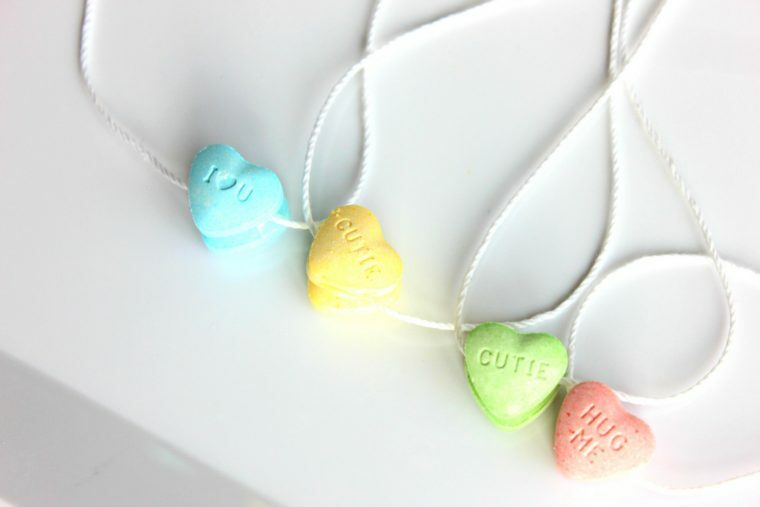 It’s a candy necklace that is super simple in principle but has great potential for creativity. 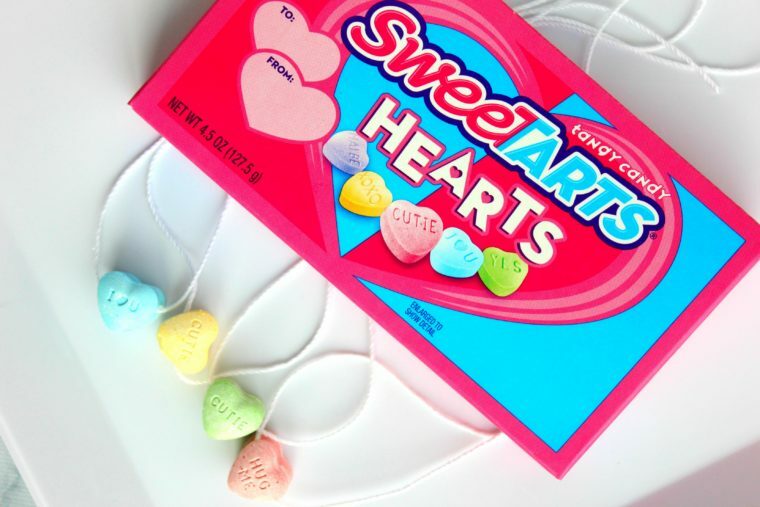 All it takes is some SweeTARTS Hearts, a string and some melted white chocolate to use as an adhesive. Candy necklaces are so fun. 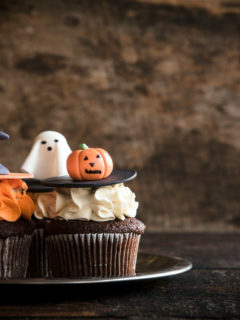 I loved them when I was a little girl and the chance to make my very own was too good to pass up since I still have a major sweet tooth. I cut a length of string to my liking. You can decide how long or short you want your edible jewelry to be. 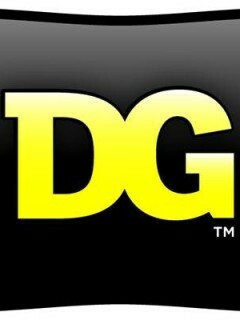 It can be a choker, or a simple pendant. It can hang as low as you want. 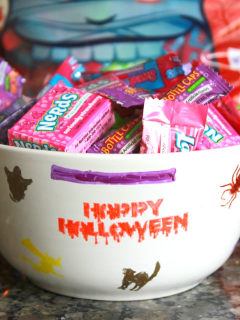 Of course the bigger the necklace, the more candy you can add. 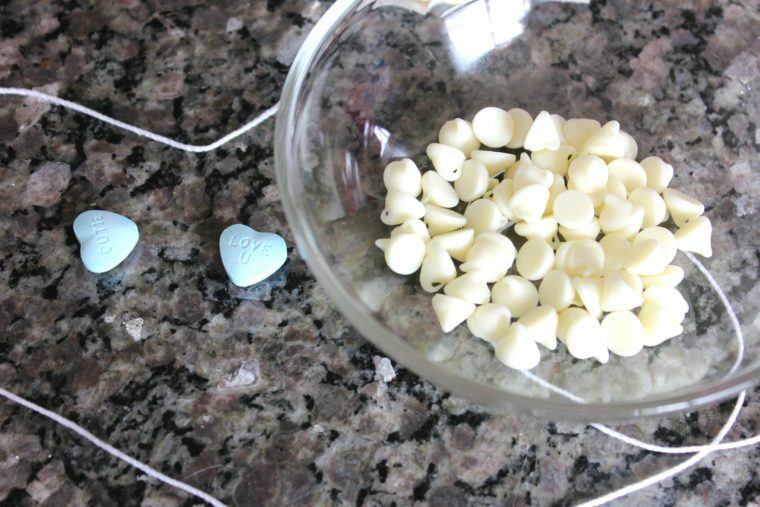 Using the melted white chocolate as an adhesive you can put a dollop on a SweeTARTS Heart, affix the string to the candy where the white chocolate sits and position the candy however you like on the string. 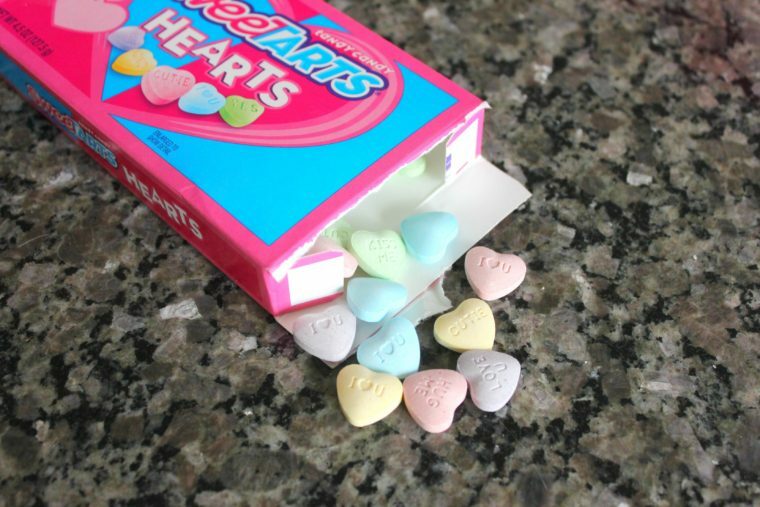 Then simply double down on each candy heart with another. Press them together for about ten seconds and you have yourself a chain of confection that will delight and entertain until devoured. Use the inscriptions on each heart to say something special and make a nice addition to a Valentine card or craft. You can even use SweeTARTS Soft and Chewy Ropes for an entirely edible accessory. The rope is cherry flavored licorice with a tart, punch flavored center. 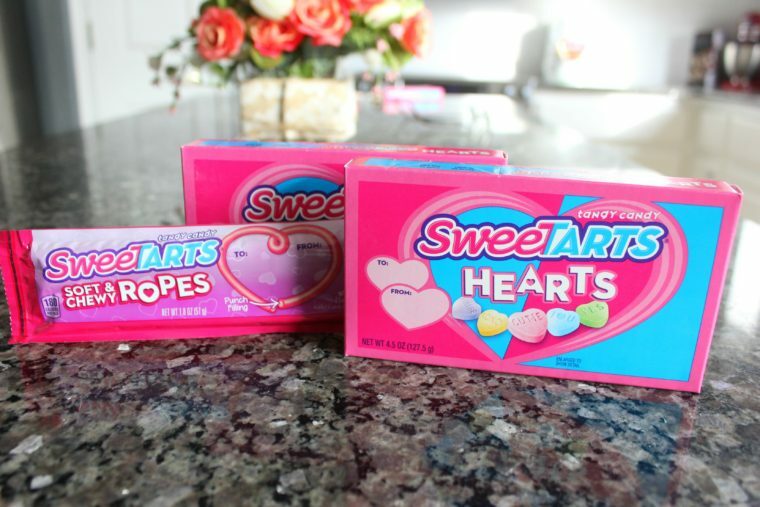 Both SweeTARTS Hearts and SweeTARTS Soft and Chewy Ropes contain no Artificial flavors and colors.